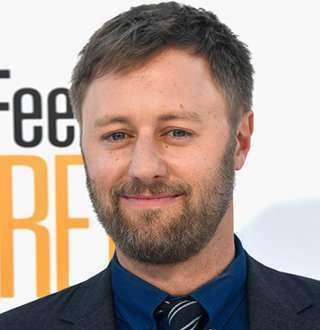 American comedian and actor Rory Scovel got married to his longtime girlfriend after eight years of their relationship. He even posted a throwback picture of his wedding and relived his wedding moments. The Greenville native is best known as Harvard in a comedy series, Ground Floor, which was aired from 2013 to 2015. Rory portrays the role of Principal Geoffrey Quinn in a truTV's series, Those Who Can't. He started his career performing at open mic nights at Washington D.C., where he worked for three years. He participated in the Seattle International Comedy Competition in 2016, where he reached to the finals. Rory made a television debut on the comedy show, Live at Gotham in 2007. He narrated the role of Pat in the 2013 comedy series, Zach Stone Is Gonna Be Famous. He has also appeared in various comedy movies such as Dead Monkey (2011) Dean (2016) and The Legacy of a Whitetail Deer Hunter (2018). He recently appeared as the men's club member in the period sitcom Another Period in 2018. The 37-year-old, who has a height of 1.78 m (5' 10"), earned a remarkable amount of income from his long-time comedy stint. He has won the prize of $15,000 reaching the final of the Seattle International Comedy Competition. Moreover, he earns an average salary of $65,149 working as a StandUp Comedian that contributes to his significant net worth. Rory was born on 6th August 1980 in the largest city of South Carolina, Greenville. He is accompanied by two sisters in the family, Jessica Scovel and Jacqueline Scovel. Read Also: Comedian Todd Glass Long Gay Relationship With Partner; Did It Fail? He attended Christ Church Episcopal School and later completed his high school education at Greenville HighSchool. He earned his graduation with a Communications Degree from the University of South Carolina Upstate in 2003. On 2 November 2018, host of TBS's late-night 'Conan', Conan O'Brien took his humor on the road with the tour, Team Coco Presents Conan & Friends: An Evening Of Stand -Up And Investment Tips. And Rory is a part of it as well, along with a lineup of supporting comics that include Marina Franklin, Flula Borg, and James Veitch. This tour is the first one to take place in eight years after Conan's Legally Prohibited from Being Funny on Television Tour. The tour is arriving after the resulted career transition of Rory as well and will be lasting till January 2019 when a revamped 30-minute version debuts. Rory is also making himself more known by starring in I Feel Pretty alongside Amy Schumer. The movie showcases a woman struggling with feelings of insecurities on a daily basis who suddenly wakes up one day believing herself to be more beautiful and confident. Rory is playing the role of Ethan in the 2018 comedy movie. Rory is a married man and a father of an adorable daughter. He tied the wedding knot with his long-time girlfriend, Jordan Boughrum on 21 September 2013. The couple started dating in February 2015, and their relationship is strengthing day by day. Whether it be about his wedding or his relationship with family, Roy does not feel shy to flaunt his love for them. Rory remembered his wedding day by uploading a throwback picture on the occasion of their first wedding anniversary. Likewise, on the occasion of Father's day 2018, Rory uploaded a picture of his daughter followed by a lovely caption. He stated that she is the greatest gift for him and a wonderful light of inspiration. Furthermore, he said that he loves the kid to no end. Rory along with his wife and daughter resides in Los Angeles.